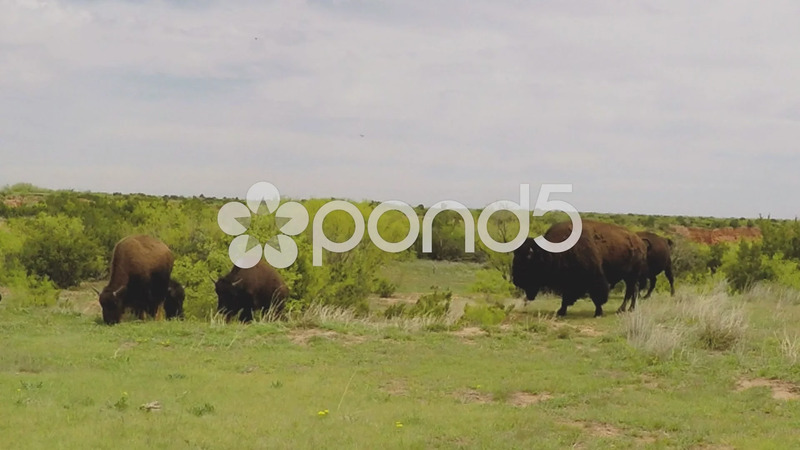 Description: Shot of buffalo grazing on green grass in the distance in Caprock Canyon State Park. Big brown bison with horns are munching and eating the greenery of the meadow. Part of a series of clips by ChromaVid featuring nature and wildlife stock video.